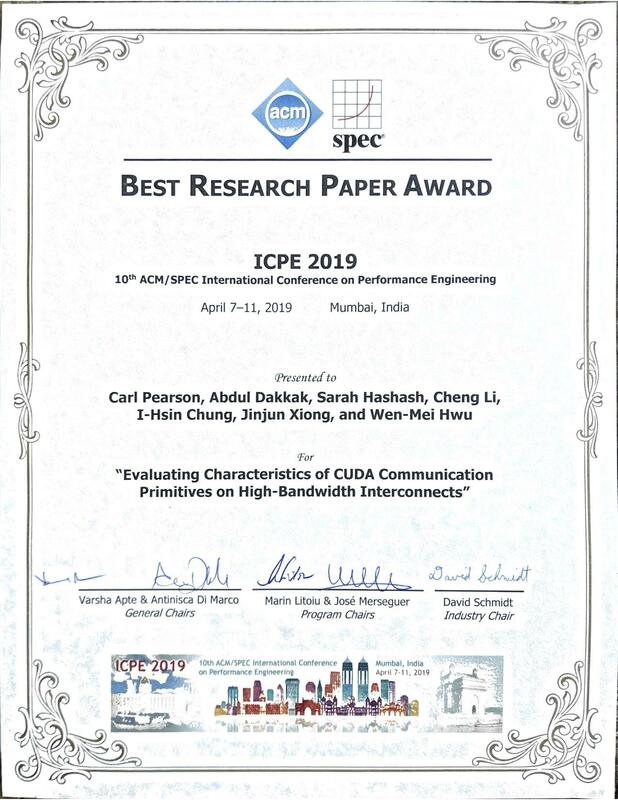 One of the joint research work between the C3SR team and the IBM Research, titled “Evaluating Characteristics of CUDA Communication Primitives on High-Bandwidth Interconnects,” won the Best Research Paper Award at the 10th ACM/SPEC International Conference on Performance Engineering (ICPE). 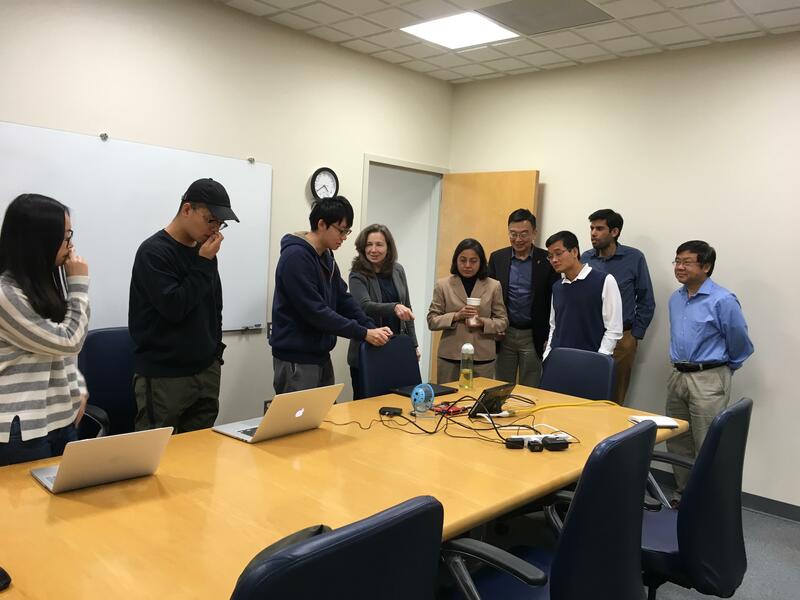 The winning team members were Carl Pearson, Abdul Dakkak, Sarah Hashash, Cheng Li, I-Hsin Chung, Jinjun Xiong, and Wen-mei Hwu. 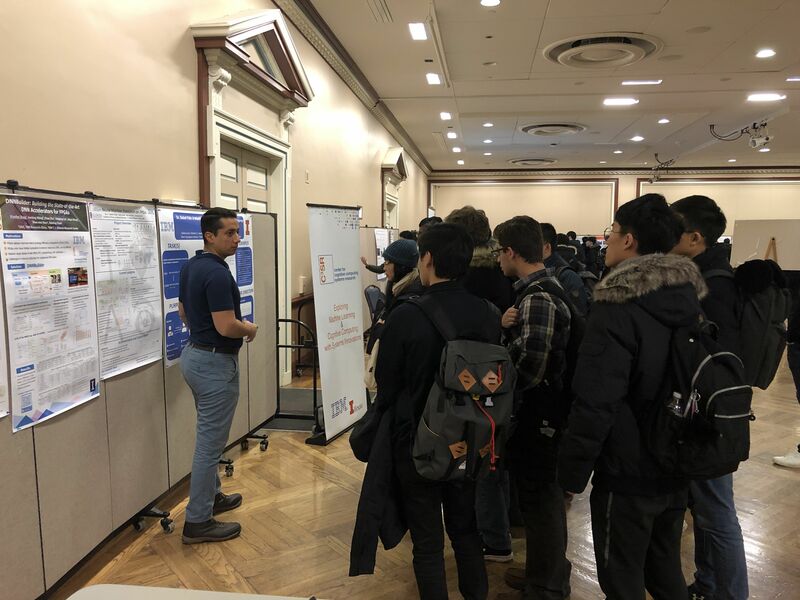 On Jan 29th, 2019, C3SR members held one of UIUC Engineering Research Fair booths in the university union for the undergraduate students. This event included poster sessions where we presented our works such as DNNBuilder and Dr. Babel fish. 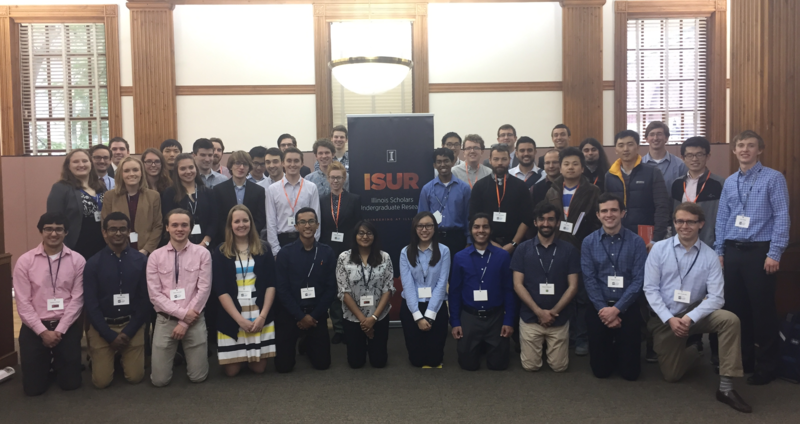 The C3SR Center is partnering with Illinois Scholars Undergraduate Research (ISUR) Program to launch a new innovative program, titled Undergraduate Research in Artificial Intelligence (URAI). The new initiative, ISUR C3SR-URAI, will provide two-semester research experiences to domestic and international students. C3SR-URAI scholars will be assigned to research projects focusing on fundamental cognitive computing and AI science, applied AI engineering and technologies, and practical AI solutions and systems. They will receive the same benefits as any ISUR scholar, such as $1000 research scholarship for the academic year ($500/semester), participation in research seminar series luncheons, and presentation of research projects in the year-end ISUR Poster Expo. On Nov 16, 2018, IBM VP, Ms. Radha Ratnaparkhi, and Director, Dr. Lisa Amini, as representatives of the IBM AIHN program came to the C3SR center and conducted the year-end C3SR Executive Review. You can find more details about the IBM AI Horizons Network here. 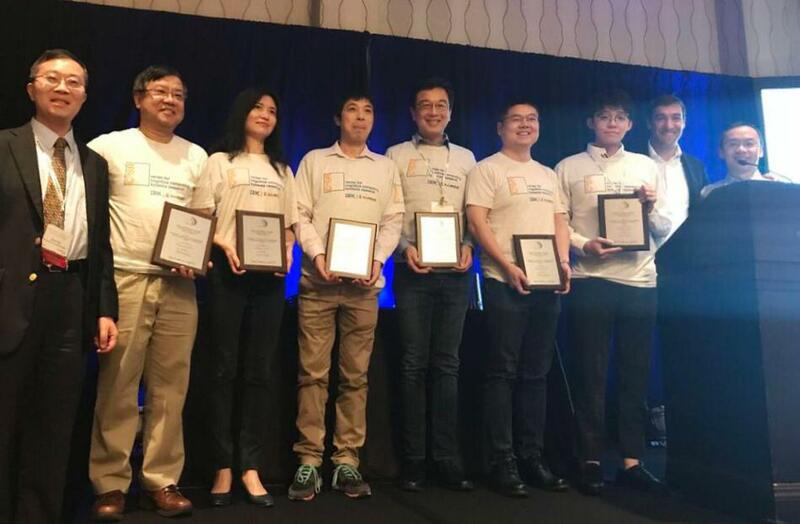 One of the joint research work between the C3SR team and the IBM China Research Lab, titled “DNNBuilder: an Automated Tool for Building High-Performance DNN Hardware Accelerators for FPGAs,” won IEEE/ACM William J. McCalla Best Paper Award at the 2018 International Conference on Computer-Aided Design (ICCAD). The winning team members were Xiaofan Zhang, Junsong Wang, Chao Zhu, Yonghua Lin, Jinjun Xiong, Wen-mei Hwu and Deming Chen. Recent region-based object detectors are usually built with separate classification and localization branches on top of shared feature extraction networks. In this paper, we analyze failure cases of state-of-the-art detectors and observe that most hard false positives result from classification instead of localization. We conjecture that: (1) Shared feature representation is not optimal due to the mismatched goals of feature learning for classification and localization; (2) multi-task learning helps, yet optimization of the multi-task loss may result in sub-optimal for individual tasks; (3) large receptive field for different scales leads to redundant context information for small objects.We demonstrate the potential of detector classification power by a simple, effective, and widely-applicable Decoupled Classification Refinement (DCR) network. DCR samples hard false positives from the base classifier in Faster RCNN and trains a RCNN-styled strong classifier. Experiments show new state-of-the-art results on PASCAL VOC and COCO without any bells and whistles. A Design Flow of Accelerating Hybrid Extremely Low Bit-width Neural Network in Embedded FPGA. J. Wang, Q. Lou, X. Zhang, C. Zhu, Y. Lin, and D. Chen. Best Research Paper Award, "Evaluating Characteristics of CUDA Communication Primitives on High-Bandwidth Interconnects,"
Best Paper Award, "DNNBuilder: an Automated Tool for Building High-Performance DNN Hardware Accelerators for FPGAs,"
Best Paper Award Nomination, "Application-Transparent Near-Memory Processing Architecture with Memory Channel Network"